We are artists. We are creators. We are partners. 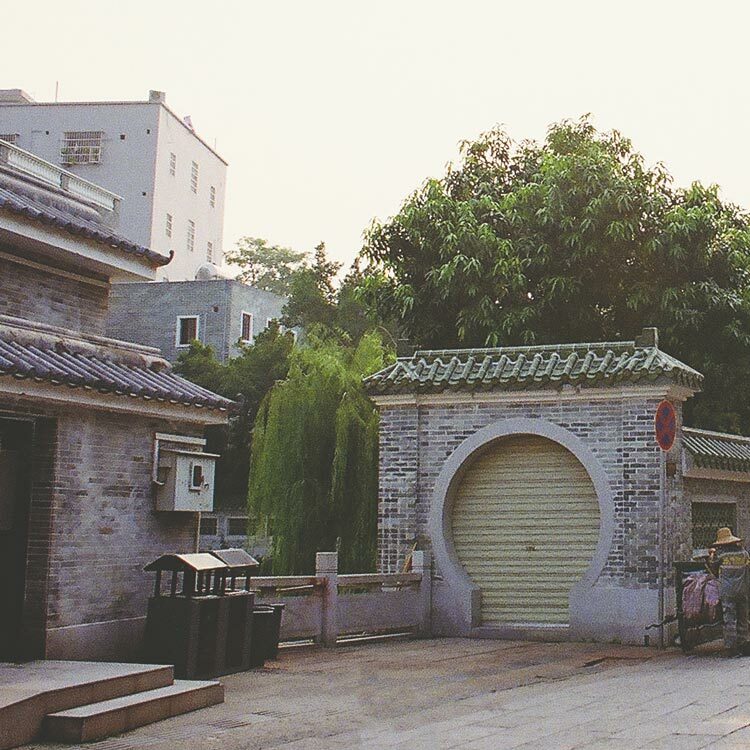 From Shanghai to Mexico, from Italy to Wisconsin, we embrace worldwide artisans. 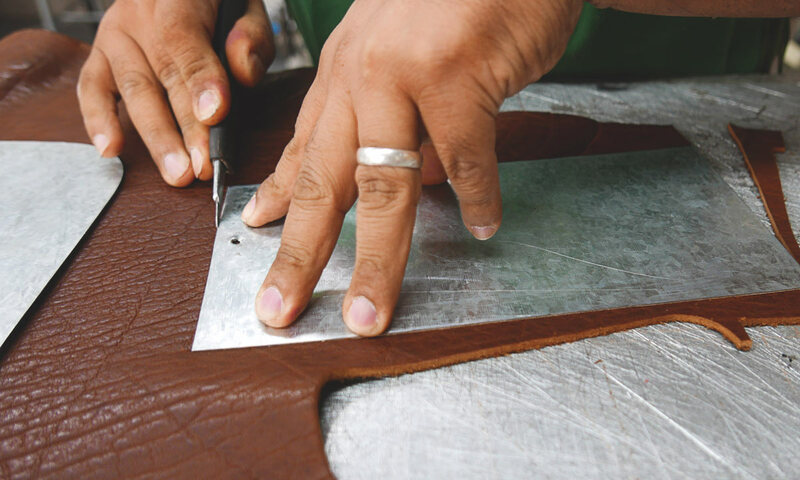 Will travels the globe to discover inspiration– working with artisans to make lifetime leather goods. You can see the passion in these hands–they’re tools. They manifest inspiration. We align ourselves with those who share our standards of excellence, our demand for authenticity, and our exacting ethical values. 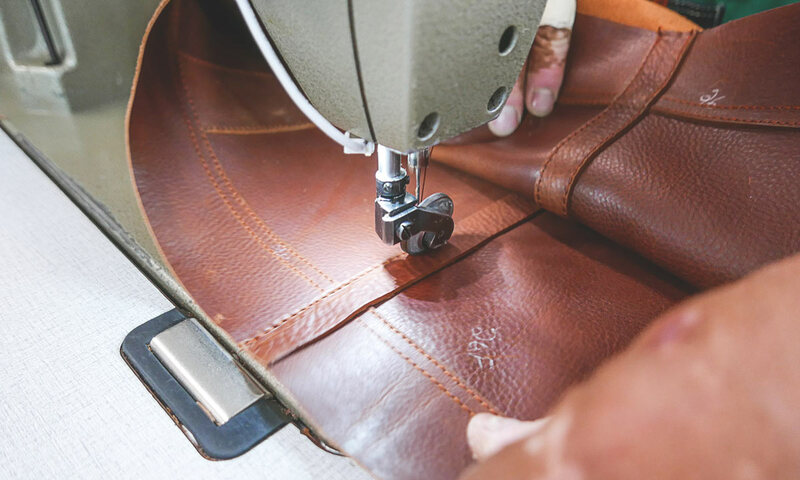 As individuals claim a unique signature, we too claim this legacy leather, a feat of engineering alchemy. From the infusion of fat liquors to the balance of oils, our chemistry is what makes it our signature leather. Natural Leather tanning is an artist canvas that is never complete. 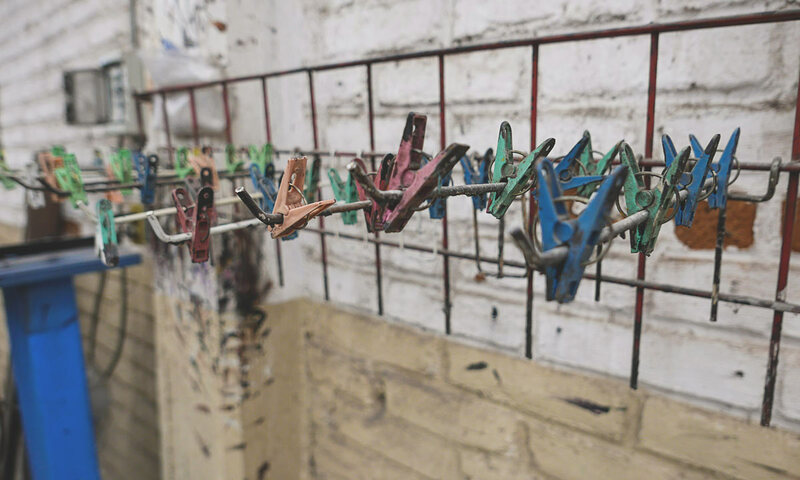 Panamericana has a expertise in leather tanning with fish oils and tannins to give the leather a hand feel that is rugged but smoother than suede. No two pieces will ever look alike. 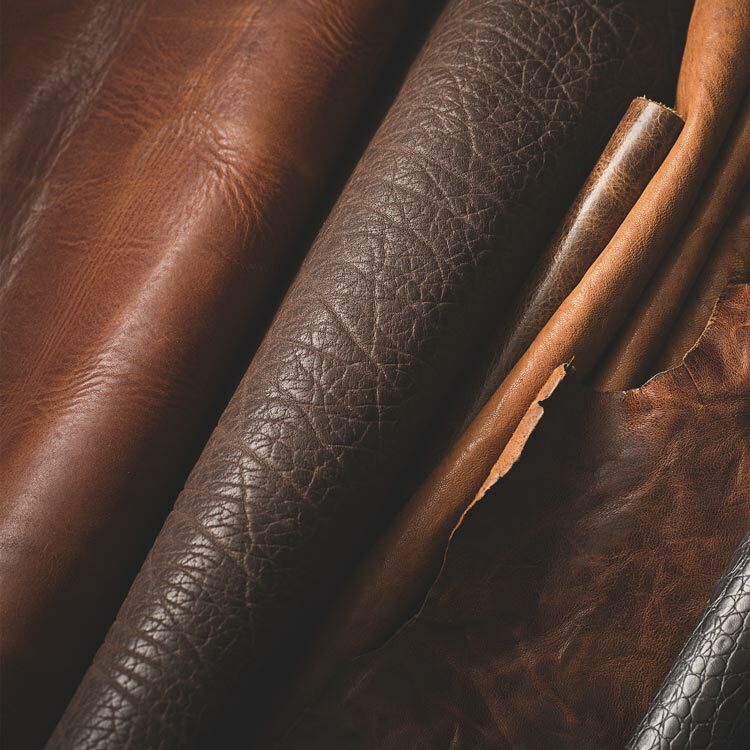 Our Legacy leather will hold the stories you carry everyday. 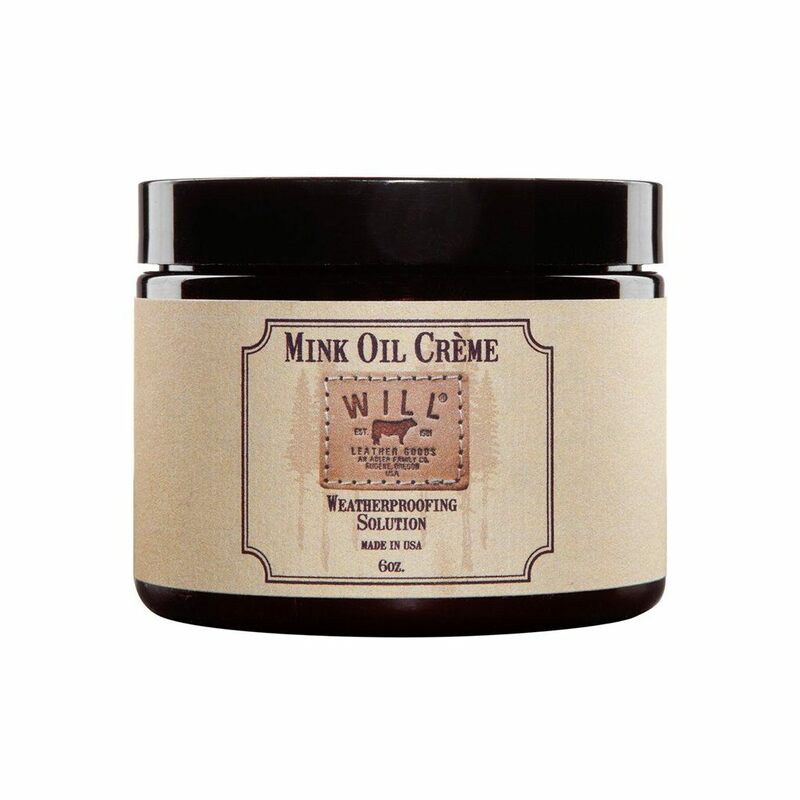 From what you put inside it, to how you use it, how you care for it and how you wear it in. Your adventure will be reflected in your leather goods. Your belt, wallet or bag will wear as it molds to fit your life, pockets, body and wear. We make product, so that you can give it life. We dream that our product will inspire and protect the treasures you hold close. Your story will be carried on and passed down to other’s to continue your legacy. 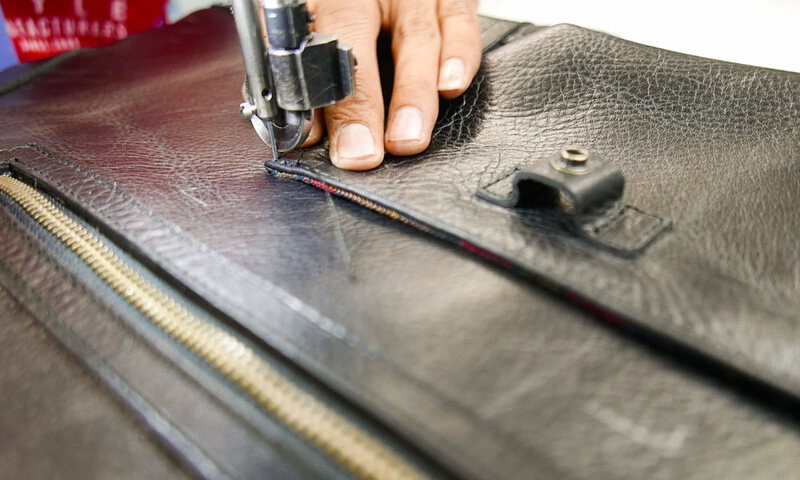 The artisan's workshops and factories (undisclosed for privacy) are all family owned and have rich histories of leather making and commerce in traditional leather techniques and skilled hand detailing. 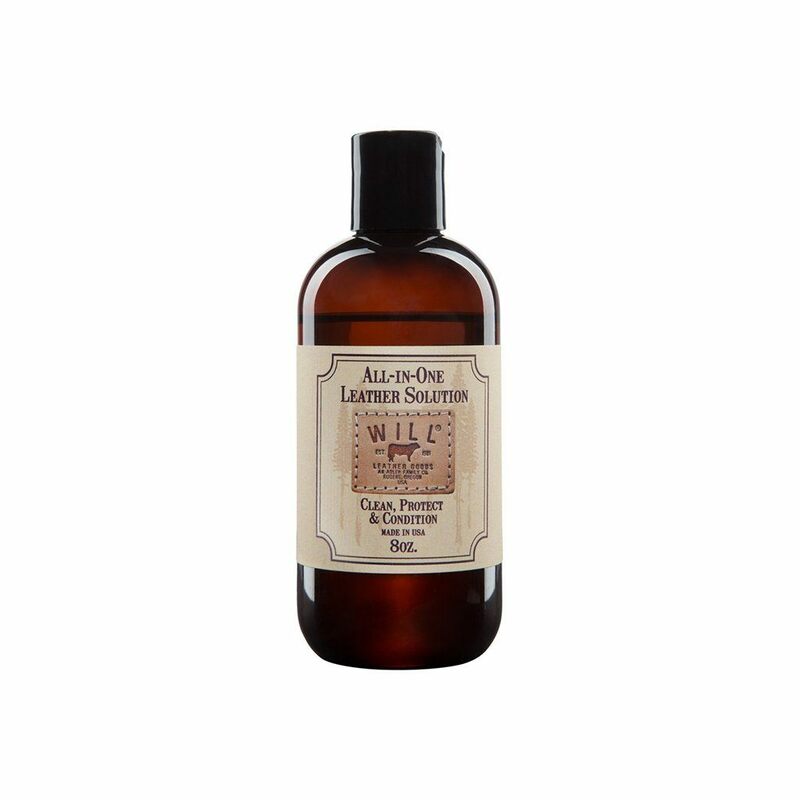 Will has cultivated these relationships for more than 40 years which he has nurtured throughout his journey in the leather goods industry. We could make our Leather Collections anywhere in the world. We choose Uttar Pradesh, India. We choose El Paso, Texas. We choose Los Angeles, California. We choose Hong Kong, China. Traditional Oaxacan and Hand Weaving Mills in Oaxaca and Guatemala. 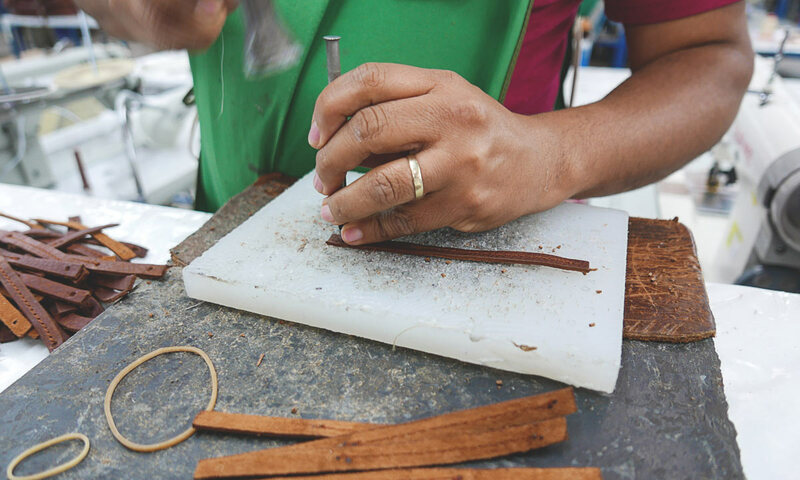 We are proud to work with artisan's from around the world. 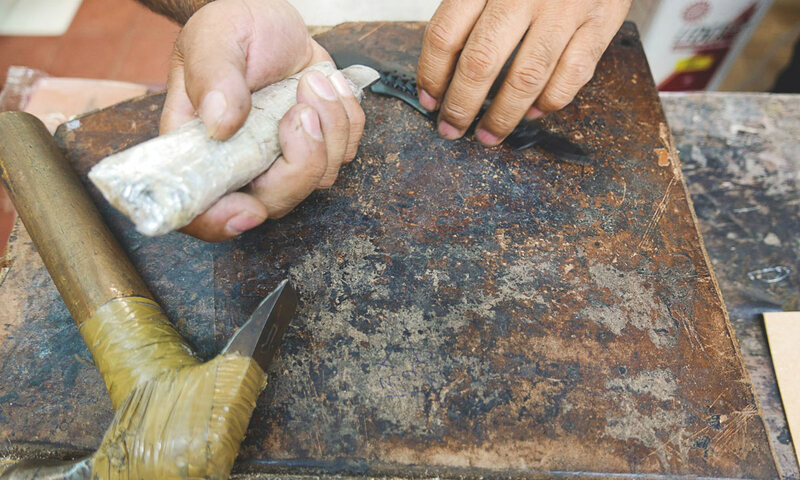 "We choose our artisan's for the expert craftsmanship, attention to detail, passion and heart. You can see the passion in their hard work and soul in their craft. 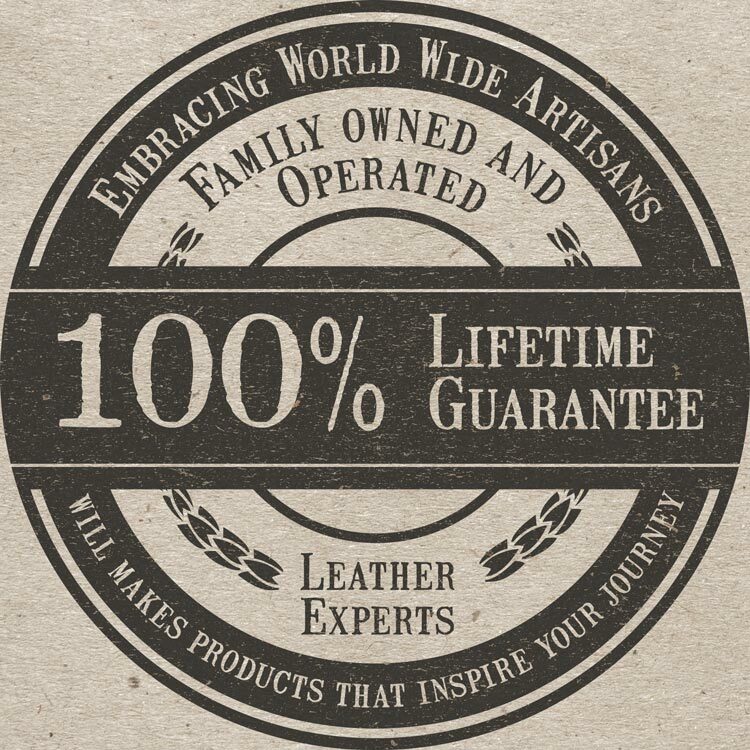 Our partners are family oriented with history of leather making in their blood." 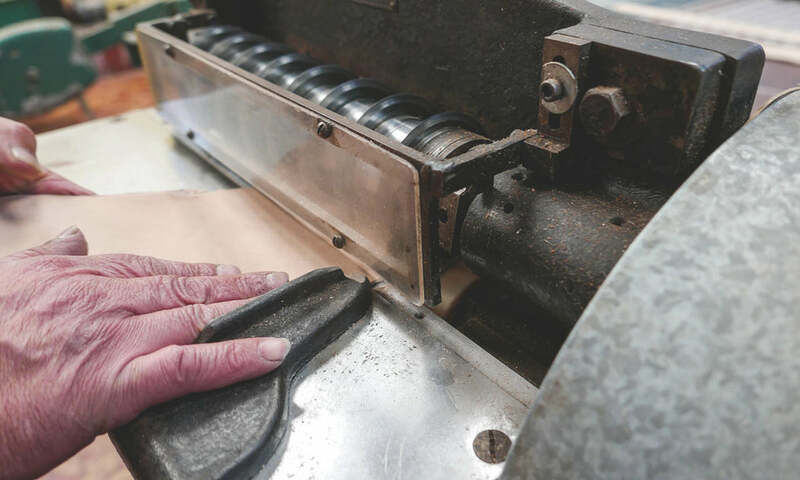 Necks craned over sketchpads, hands poised on machines, eyes moving meticulously over bolts of fabric: In workshops around the world, artisans are bringing their inspiration to bear through the sweat on their brow and the power in their fingertips. This is their craft. It wakes them in the morning with a flutter in their hearts and moves them through their days with purpose. They become engrossed in the experience until they lose track of the world around them. Their inspiration compels them. They are artists. They are creators. And they are our partners. We are proud to collaborate with global artisans around the world—in West Africa, Bombay, Mexico, China, Texas, Oregon, Oaxaca, and Peru. We rely on their knowledge of their craft, their innate ability to work with local materials, and their passion of purpose. We align ourselves with those who share our standards of excellence, our demand for authenticity, and our exacting ethical values. We are a global family and we are growing. We travel to the far reaches of the world in search of more men and women who will bring their passion and skill to our brand. 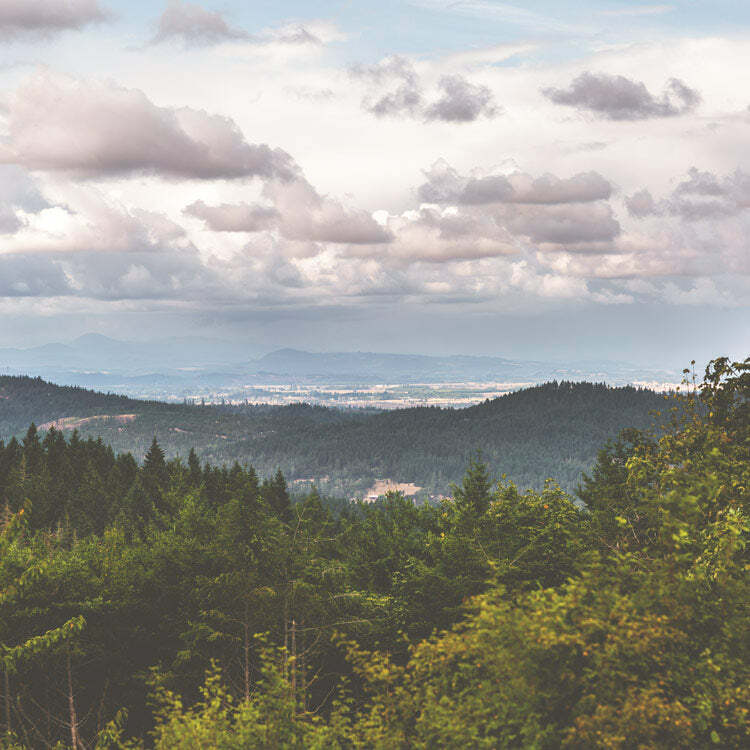 The Design Team in Eugene, Oregon. 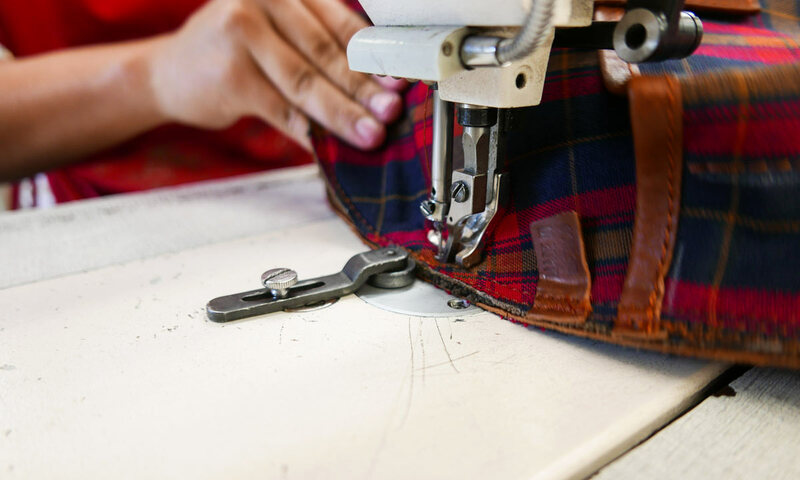 Finishing touches to Kantha Tote and Military duffle in Eugene, Oregon.